The summer is slowly coming to an end and fall is creeping in. 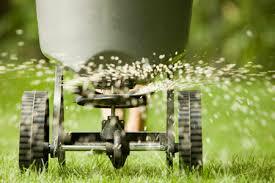 It is time to start thinking about fertilizing your lawn for the next upcoming Spring. As September rolls around it mean that fall fertilizing is drawing near. Whats So Important About Fall Fertilizing? This type of application will give the roots the much-needed nutrients to store up over the winter months. The nutrients that the roots store will be utilized in the Spring when it warms up again as the stored nutrients become available to produce shoot growth and obtain the green color you want. Remember with winterizing fertilizer you will not see immediate results. Its purpose is to prep your lawn for the upcoming Spring. 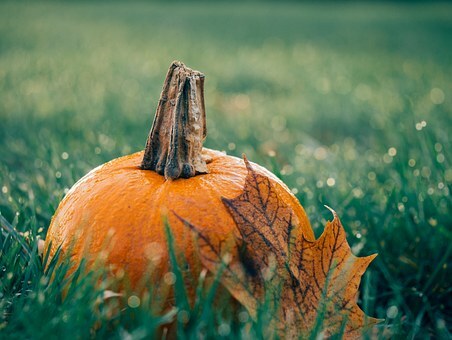 The best fertilizer will give you a slow release during the late Fall, during Winter and early Spring based on temperature, moisture, and microbial activity. During all of this, the fertilizer is providing nutrients to the roots which are storing them up like a squirrel does when it is harvesting. This will happen as long as the ground isn’t frozen and if it does the cycle starts right back up as it warms up. That is the purpose of the slow release of the fertilizer. It would be good to use winterize fertilizer in late October and in November. Standard applications are based on 1 pound per 1000 sq. ft. But it is wise to check the label as well. To find out what you need to do and how much you need to use, see video below. I hope this post helps someone with fertilizing their lawn. Please feel free to comment or ask questions in the comments section below. Does the type of grass or hardiness zone matter when applying winterizing fertilizer? I have a good amount of Zoysia grass and live in hardiness zone 7. Also, I see in the picture above you’re using a broadcast spreader. I always saw my dad using a drop spreader (I think that’s what it’s called). Should I use one over the other? You will not use winterizer fertilizer in a warm season area. This is for cool season regions that get really cold. 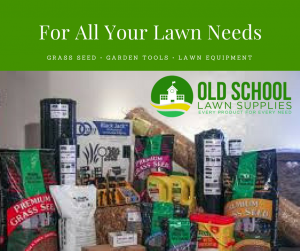 Now you will fertilize in the early spring or late spring or early summer, late summer & early fall. As far to which spreader to use will depend on what you are trying to achieve. The broadcast spreader will spread it in a larger drop pattern where the drop spreaders will just drop it directly to the ground. Drop spreaders are primarily for small area applications or precise applications. Spo the answer really depends on what you are going to spread on. how you want to spread it. Great info I really needed to read this! I’m glad it was information that will be of some help to you. Feel free to check in from time to time and catch some of the up and coming posts. Wow…. I never knew that fertilizing your lawn had become such a science. I’d always assumed that a lawn was self-fertilising from the various matter that either fell on it naturally – such as fallen fruit, rainfall, and other natural waste. Clearly, i was wrong. Thanks for sharing. Hopefully, come the spring, my lawn will now look so much better. Those natural things do help. I often wonder is the Earth able to sustain it all by itself anymore. But I always say that your lawn depends on you to help it look its best. But it also boils down to if you want to stay natural and if you do you can always use natural fertilizers like compost. Either way you will be helping it to look its best. Thanks for the valuable insight! My lawn is a warm season lawn (Zenith Zoysia). Is it wise to use this method on both warm and cool season lawns or are there different recommendations for various grass types? Fertilizing for warm season grasses are a little different. You want to know what type of grass you have. Yours is Zoysia so you want to do this in the early spring or late spring or early summer, late summer & early fall. Where this post was generally speaking on cool season grasses. Good information to know, is there anything we need to look out for when choosing a winterizer fertilizer? Are they safe to use with kids about? Yes, fertilizer is a chemical so you want to protect your eyes and skin. Use Gloves and eye protection. Also, you want to remove any excess off the sidewalks and try not to have as less as possible run off with any watering so that it doesn’t go into sewers. Also consider your children & pets as well. Try to keep them from getting into the lawn that has been recently fertilized. Very good question.